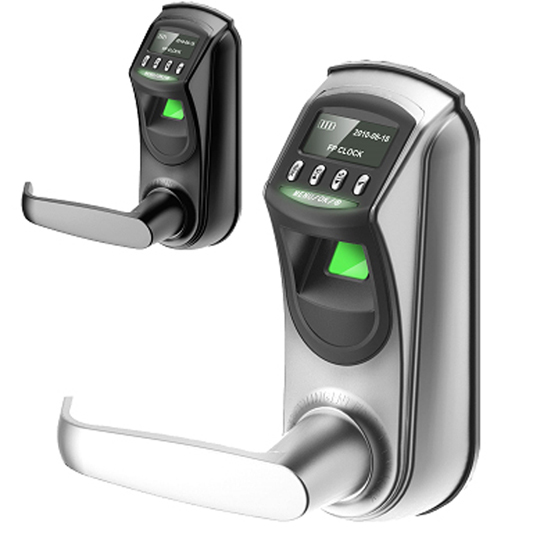 Intelligent Biometric Lock - Baztech Incorporated (Pvt) Ltd. The intelligent hotels lock systems offers standalone solution to meet hotel’s demand n security and management, which features 13,56MHz Mifare card technology. The style and color of lock fit any type of hotel. The mould’s lock is made by zinc alloy which is strong enough to protect the system from any considerable outside impact. Lock is powered by four high-capacity alkaline AA batteries that can last up to 20,000 unlocking activities.